In 2011, the mining company Gogebic Taconite, GTAC, announced plans to develop a low-grade iron ore deposit mine on the Wisconsin-Michigan border, just downstream from the Bad River Band of Lake Superior Chippewa Tribe’s reservation and rice beds. It would would have been the largest open-pit iron ore mine in the world. But it was never built, in part because a coalition of tribal leaders, environmental groups and concerned citizens stopped it. Environmental historian Nancy Langston says that that event mirrors the Lake Superior region’s history of environmental activism, and that if the region is going to survive and thrive in the future, it should look to the past as a guide. Langston’s new book, "Sustaining Lake Superior: An Extraordinary Lake in a Changing World," explores the environmental and social history of the Lake Superior region and what that history can teach those fighting for the region’s conservation today. "So many people look at Lake Superior right now — we have wolves and moose and all sorts of extraordinary birds, and some of the biggest lake trout in the world — and people think we have this incredible abundance because it’s pristine," Langston told WPR. "(But) this was a lake at a tipping point a century ago, and communities came together (to save it). The tribes worked with states, worked with local grassroots groups, and they said, 'We don’t want to collapse. We want a sustainable future,'" she said. One facet of that tipping point was the region’s forests. 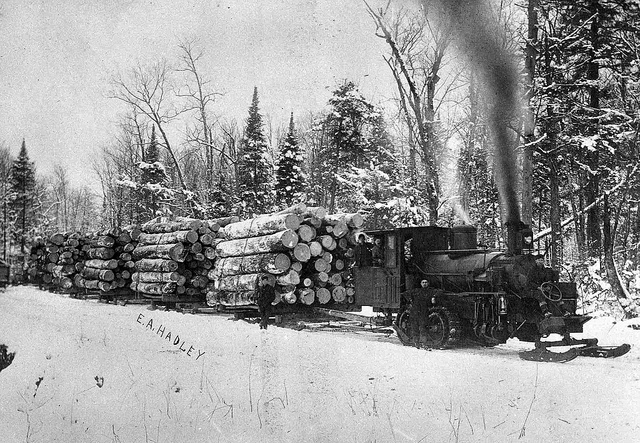 About a century ago, in the span of about 15 years, nearly all the white pine and timber on the south shores of Lake Superior were gone, harvested for the state's flourishing logging industry, Langston said. "And people stood up and looked around them and said, ‘What have we done?’" said Langston. Foresters in the region recognized the devastating impact of deforestation on watersheds and the human communities surrounding them and began looking into ways to reverse that environmental degradation, Langston said. Since that realization, almost 80 percent of the watershed has been reforested. "The intense logging around Lake Superior really motivated an American conservation movement," Langston said. Similarly, the coalition that worked to stop GTAC’s mine in 2011 were informed and motivated by a long history of mining in the Lake Superior region, Langston said. By the mid-19th century, the Lake Superior region was the world’s largest iron-producing district, she said. When high-grade iron ore was depleted during World War II, the state of Minnesota developed a low-grade iron ore called taconite. Taconite was a boon for Minnesota's economy, but its production created large amounts of very fine ground waste pollution — something the Lake Superior region is still dealing with today, Langston said. People tend to think of the Lake Superior region as immune to environmental destruction because it’s hinterland, cold backcountry that’s largely removed from industrial civilization, Langston said. But she cautions against that logic and encourages readers to think globally. Pollutants from as far away as Asia make their way through the atmosphere until they reach colder climates like Superior, she said. Threats facing the region today include a large hog operation that Langston says would not be required to treat the water contaminated by its animals’ waste. But Langston takes comfort in the region’s history of conservation and in regional efforts like the Great Lakes Compact. "We can learn from other regions, learn from our own history and come up with a more sustainable future," she said.